Blog sul viaggio e sull'arte di viaggiare - Benvenuti su tourguideinsicily! 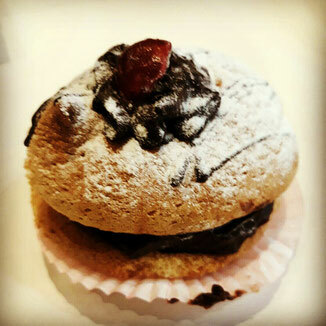 I fully agree with what is written in the following article and I remember the taste of the "pasticcini" (Sicilian pastries) that my father bought me on festive days in the Pastry shop in Avola (his hometown). I must have been six or seven, I remember that huge counter full of "Paste" (it was the '70s). Yes, I remember cakes and Cannoli. But my olfactory and visual memory goes to those cakes with sponge cake stuffed with: chocolate, ricotta, cream. A pleasure for the palate of a child. And then I remember the smell of my wicker basket with which I went to asylum. There was everything necessary to survive the day: water bottle, bottle of fruit juice, pencils, and then the oil sandwich with the provolone or cheese spread. That basket, even when it was empty, had a delicious unmistakable smell, a good smell. And the snack to go to school in elementary school? The sandwich in the shape of a snail with salami and provolone inside. And then the sweet, simple and fast, which my Mum prepared for a snack (sometimes), simple slices of sponge cake soaked in Vermouth and covered with yellow cream or chocolate cream. All this, when the smells of the products were still genuine, clean, unmistakable. These flavors are part of my memory. Now we talk a lot about "Experiential Tour", which experience is more interesting than a Tour to discover the flavors of tradition? Sicily and the Sicilian continue to cherish the memory of the past through the custody of some classic recipes handed down from father to son. Because for us, food is culture, memory, love. Everyone begins his speech with food, with child taste. "Taste, not taste, the latter belongs to the fleeting moment: the first belongs to memory, to love: therefore to immortality." As a child, everyone begins his special relationship with a taste. And for me, it was immediately the arancina with butter. 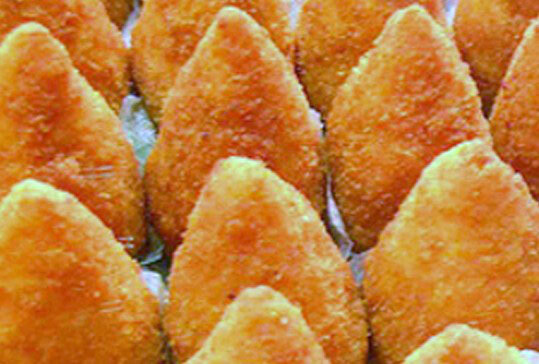 When Palermo was still a city, there was a bar, in a square with many trees, famous for those pieces that the infidels call arancini.On Sunday I had breakfast with five arancine butter. Caterina moved at dawn, from her house with geraniums on a balcony scarcely caressed by the sun, she went to buy them, packaged them, then, when she returned, she opened the box with the sacred moves of an ancient and mysterious rite. years, but I already understood the religious value of the event.It was a commandment of abundance.Nonna Tina (it was her endearment) had suffered hunger during the war.This was why it was enough to open her refrigerator to be submerged by the vetto sifting of an army ready to sustain a long siege, between kilos of sausages and quintals of cheeses that were catapulted on the lucky burglar. The arancine of that bar in the square with many trees could be likened to Mozart's music. The ingredients were balanced in the execution of the papillae that received them. Rice, never boiled or raw. Cooked ham cut into cubes with the rigor of a string section. The seam of the cheese and the butter that made its percussion among the grains (intermediate note for the specialists: I read occasional Taliban disputes on the Arancina) If it should conform to the custom of those who prefer it to the meat, or sail towards the free spirits that only mean butter, and from the premise it will already be understood with who I am. The arancina is with butter. We can tolerate the lovers of the surrogate to the meat and avoid locking them in a homeland jail, (because us, fundamentalists of the use of butter in arancini, we are moderate, democratic and affectionate, as long as the carnists do not abuse our patience). Everyone begins his journey towards happiness as a child. I have learned that tenderness, the companion of joy, coincides with memory, therefore with taste. You can try, if you do not believe it. Taste the food you loved and have never stopped loving. Do it with half-closed eyes; you will see all of them again next to you. It always happens to me like that; even if there are not the arancine of a time I make myself enough dreams that I have. Pack, I'll take home, unwrap the package, sniff, go away. And my eyes - without having even expressed a desire to the genius of the lamp - rise on the time machine. I see grandmother Tina on the balcony, among her geraniums, with a little sun. I find it right there, as if the time had never passed. As if she could still wait for me ".